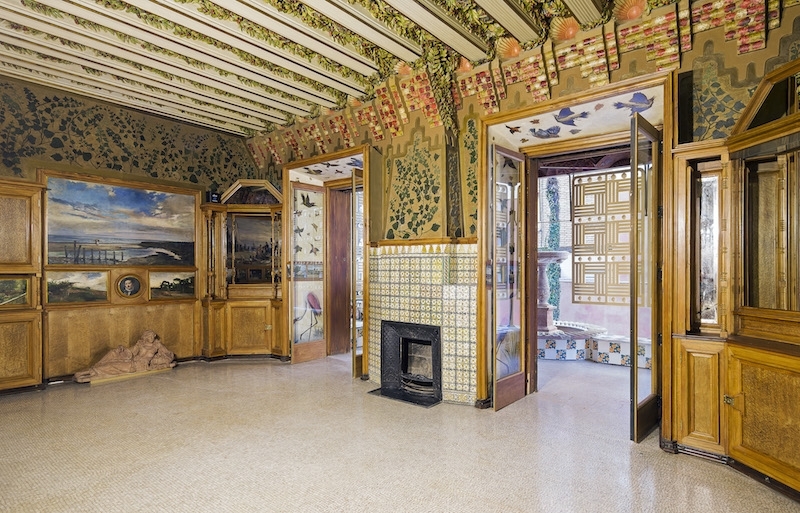 Discover the early works of Gaudí in the first house he ever designed. 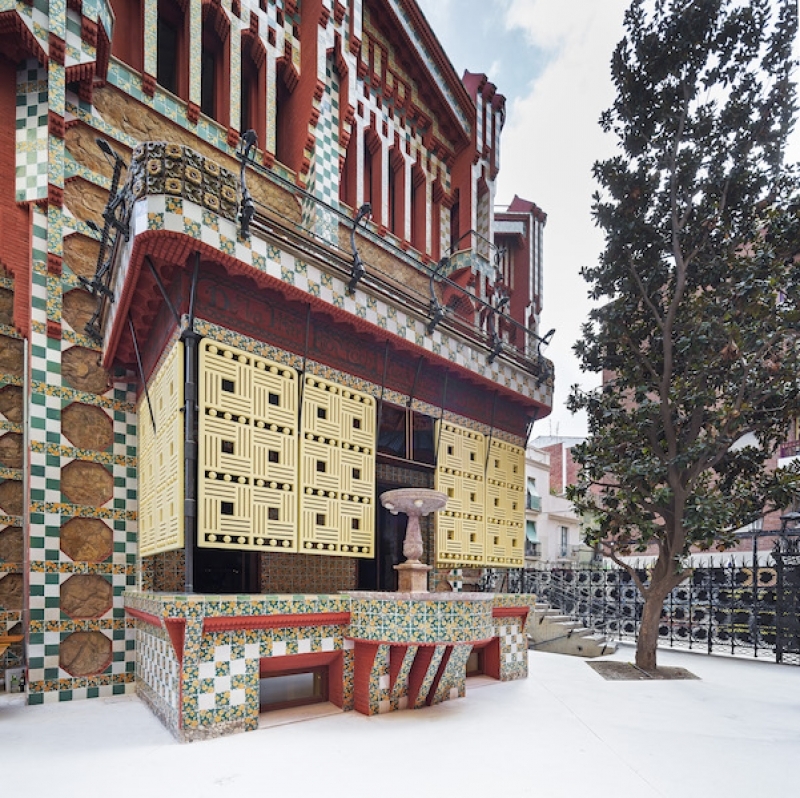 After being a private residence for over 130 years, Casa Vicens finally opens its doors to the public. Most people may know the name Antoni Gaudí from his famous Sagrada Família which is still not completed after over 100 years of construction. The attractive Barcelona city is decorated with many other architectural masterpieces by Gaudí like Casa Milà “La Pedrera” and Casa Batlló. 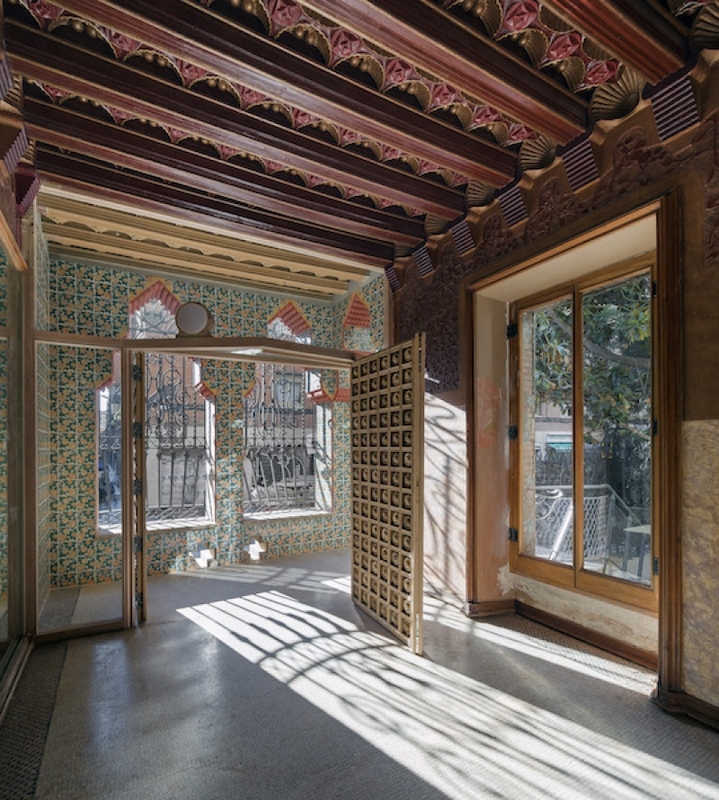 Adding to the city’s impressive collection of architectural wonders, Casa Vicens, the first home Gaudí ever designed will be the latest World Heritage site in Barcelona to open to the public on 16 Nov 2017. Built between 1883 and 1885, Casa Vicens was a summer home designed by a young Gaudí for Mr Manel Vicens i Montaner. The house’s complex architectural style and extensive ornamentation revealed the architect’s nascent genius which was showcased in his later works. Significant changes were made to the house in 1925 when the Jover family, the house’s occupant from 1899, engaged Joan Baptista Serra de Martinez (approved by Gaudí) to expand the building so that it can be lived in all year round by multiple families. 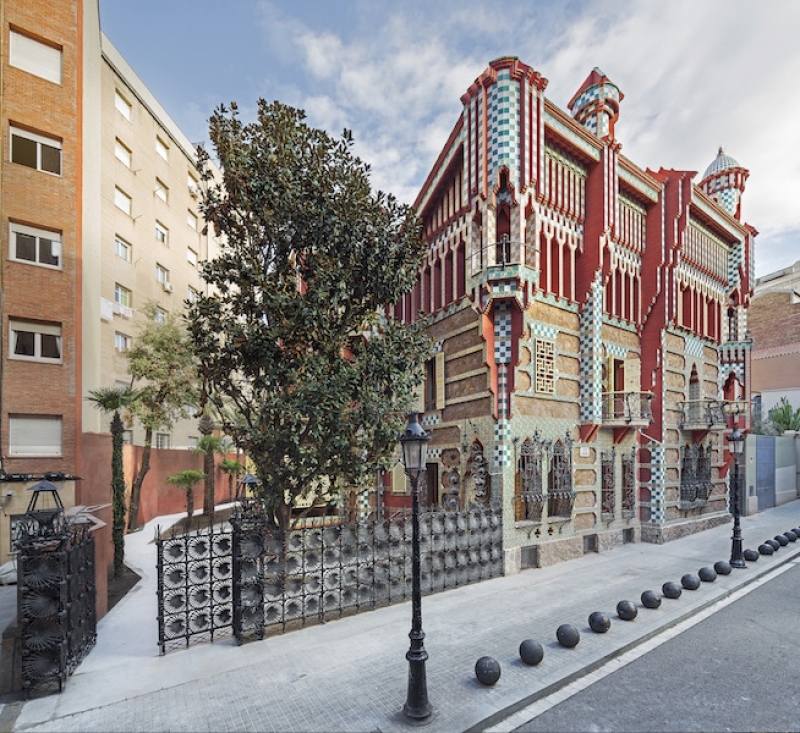 After 130 years as a private home, Casa Vicens was acquired by a private bank, MoraBanc, in March 2014 to be restored and opened to the public. From 2015 onwards, rigorous research was conducted to facilitate the refurbishment and restoration of the house based on the original version by Gaudí. Costing about €4.5 million, the ambitious project returned the house to its initial glory as Gaudí’s first showpiece of Catalan modernism. The project also included a creative architectural intervention by adapting the existing spaces of the building, which were added in 1925, to feature modern and functional parts for its use as a cultural space and museum. Collaborating with other projects in the city, the museum is complemented by a store run by Jordi Capell Architecture Coop and a café run by the Hofmann Culinary School. Like me, most visitors will be awed by both the exterior and interior of the building. Meticulous restoration returned the decorative ceilings and walls to its original colours that were previously hidden. Gaudí drew inspiration from nature and the ornately decorative elements of flowers and plants in the room formed the continuity of nature inside and outside the house. Concerted efforts were made such that only furniture originally found in the house was displayed. Casa Vicens is not just a museum but a living cultural space where visitors can find out more about Casa Vicens through the early career of Gaudí and history of the building in the permanent collection on the second floor and other interesting aspects highlighted by temporary exhibitions. The first temporary exhibition “The first house. The private home. 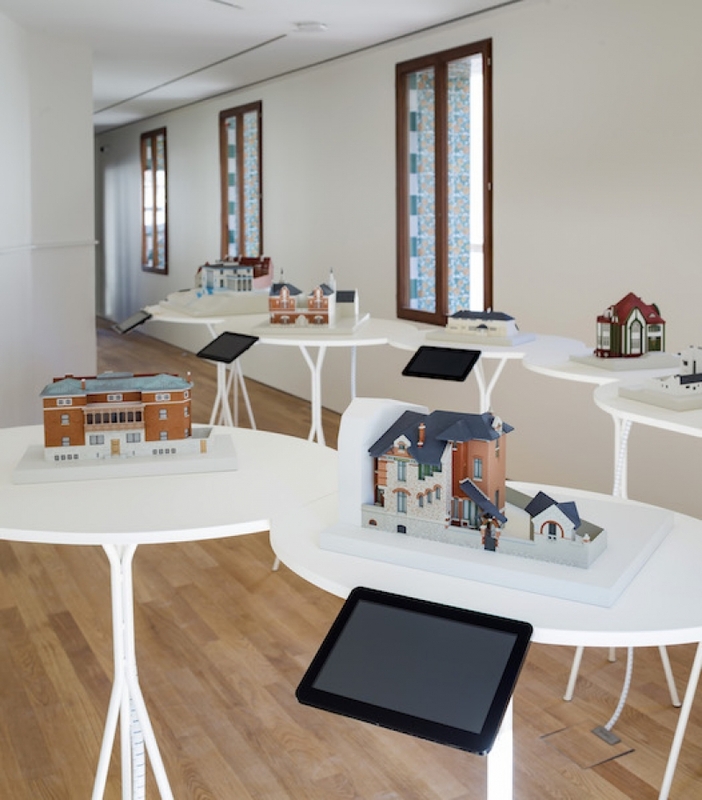 The manifesto house” curated by Juan José Lahuerta provides a useful introduction to architecture through 14 intricate models of 14 homes built by Gaudí’s contemporaries in Europe and America. Thanks to the kind hospitality of Casa Vicens management, I had the honour to enjoy a private tour of the spectacular building conducted by Ms Mercedes Mora before the public opening. 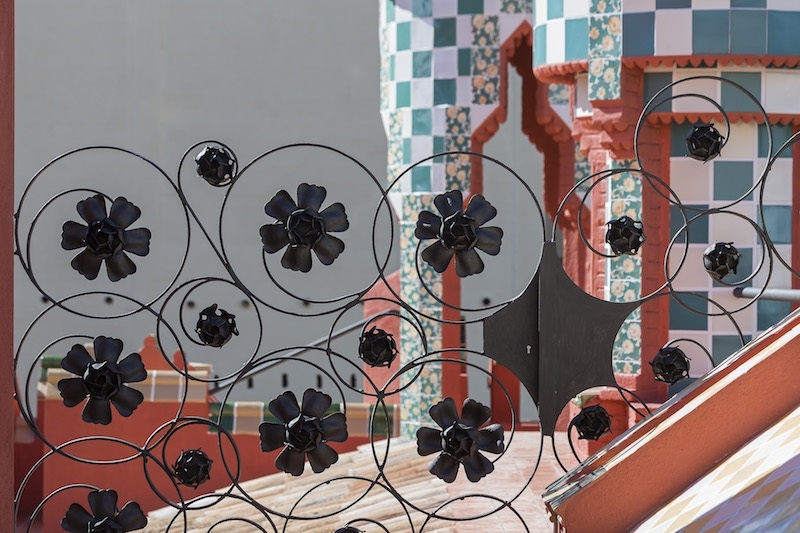 To me, the best part of the Casa Vicens experience is the focus on quality and not quantity by allowing visitors to immerse in the architectural grandeur without crowds or rush. Entry to the house must be booked ahead of time online at their website (basic ticket €16; with guided tour €19) and only 20 visitors are allowed to visit at each time slot. This ensures that there are no crowds disrupting the peace of the neighbourhood and visitors can explore the house comfortably. After having less than five minutes of tranquillity before crowds rushed into popular Gaudí attractions like Sagrada Família and Casa Milà despite securing the earliest visit slots, I truly appreciate the space and silence needed to admire the buildings and soak in Gaudí’s legacy. 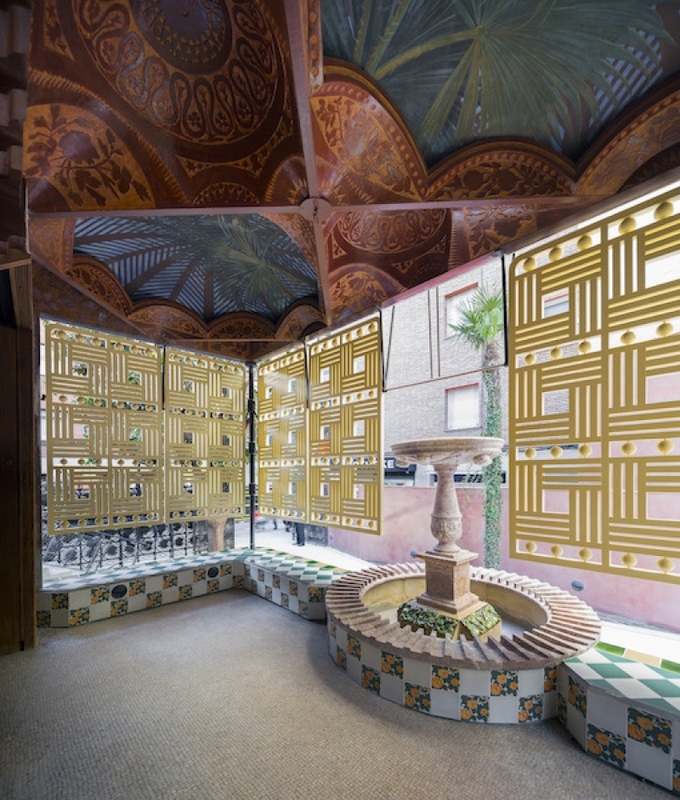 If you have the chance to visit Barcelona in the future, I hope you will be the lucky few to secure the limited tickets to Casa Vicens and learn more about Gaudí’s manifesto home and its connections to culture and history!